After seven years, the much anticipated Oracle 18c Express Edition (XE) has finally seen the light of day. 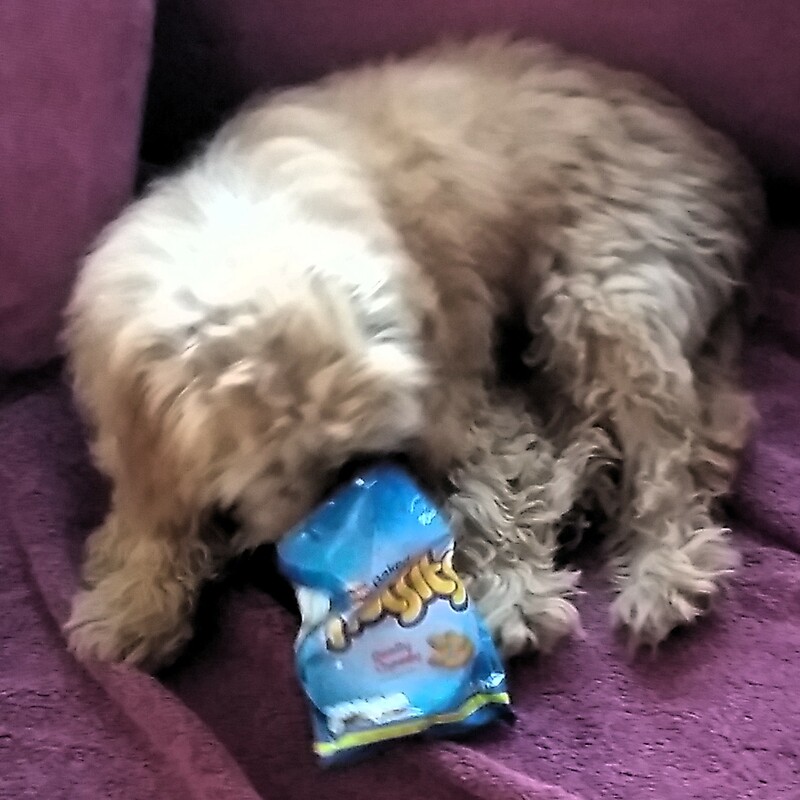 It’s the Dog’s Wotsits ! Gerald Venzl, the person we have to thank for this new and vastly improved version of XE, has already published an installation guide. At this point you may well ask yourself that what – apart from gratuitous puppy pics and cheesy-snack-based puns – is the difference between that post and this. Well, if you’re a long-time user of 11gXE and you’re looking to upgrade then you will find 18cXE a rather different proposition. The introduction of Multitenant databases aside, 18cXE differs greatly from it’s predecessor in terms of it’s functional scope. Wheras 11gXE was – broadly speaking – functionally equivalent to Oracle Standard Edition, the approach for 18cXE has been to shoe-horn in as many Enterprise Edition features as possible. No doubt, this will leave you anxious to play with the new version. However, there are some “home comforts” that were present in the old version that you’ll need to configure yourself this time around. The steps documented here have been performed on a vanilla installation of CentOS7. As such, they should work pretty much unaltered for other Red Hat based distros based on or similar to Red Hat Enterprise Linux (RHEL) version 7. Yep, I’ve caught Deb’s cold and now sound like the alien menace from Captain Scarlet. This provides a somewhat tenuous link to the subject at hand – namely installing Oracle Instant Client on Ubuntu. I think I’d better explain. As you probably know, Ubuntu – being a Debian based Distro – uses the Debian packaging mechanism. Oracle, on the other hand, provides Instant Client for Linux in rpm ( RPM Package Manager) format. In order to bridge this divide, we’re going to need to use the alien utility. Look, I did say it was tenuous OK.
Having obtained a sick laptop and nursed it back to health ( i.e. installed Ubuntu 10.04), I’ve decided to do something a bit more useful with it. I want to be able to connect to the Oracle 11g database on my server. This means, installing an Oracle Client. I’ll be using the machine mainly for SQL*Plus ( although I may well be installing SQLDeveloper shortly). Therefore, rather than mess about downloading the client directly from the Oracle site, I’m going to use the XE client, which is available in the Oracle supplied apt package repository. NOTE – if you simply must have the full Oracle Instant Client, then you can find details of that installation here. You’ve followed the instructions, everythings working fine. You shutdown your machine and go for a celebratory pint / cup of tea / curry. Then, when you next start your machine, Oracle doesn’t want to know. What’s going on ? To be honest, I don’t know. What I do know is that there are some steps you can take to at least attempt to diagnose your problem. Before I go any further, I’d like to dedicate this post to Wayne. He found himself in this position. After much head scratching between the two of us, he managed to find and resolve his problem. Whilst a hardened veteran in computing terms, Wayne was new to both Linux and Oracle. From the mails I’ve received regarding this post, there seem to be a number of people in a similar position to him. Therefore, this post is written with these interpid souls in mind and I’ve tried to take time out to explain why we’re doing stuff at each step. It’s now quite a while since I posted this and some people have contributed some really useful comments. These include solutions that they found to various problems, which are additional to the ones in this post. So, if you’re still having problems, check out the comments as well. MestreLion’s tip about sudo chmod -t /var/tmp/.oracle seems to be a particularly good example of this.